On April 13-15, 2006, The Kitchen presented the premier of Maria Hassabi’s Still Smoking. A rumination on urban decadence and emptiness, nineteen chandeliers hung from the ceiling and were slowly lowered toward the floor, creating obstacles for complete viewing while also echoing the skyline of a city. 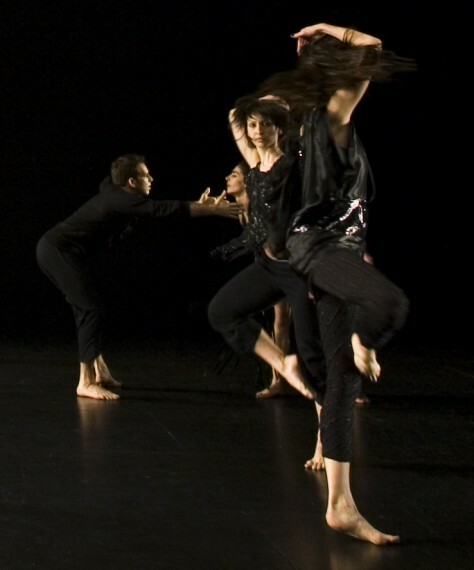 Six dancers, Hassabi included, mobilized a movement vocabulary with references to the Baroque period, aerobics, and quotidian pedestrian gestures. At no point did any of the performers completely engage one another, as if they were, in some fundamental way, alienated from their surrounding environments. With an evocative lighting design by Joel Fitzpatrick and original music by Ben Brunnemer and Dorit Chrysler, Still Smoking provided viewers with a raw performance that potently reflected on the embodied experience of life and abandonment in a contemporary metropolis.